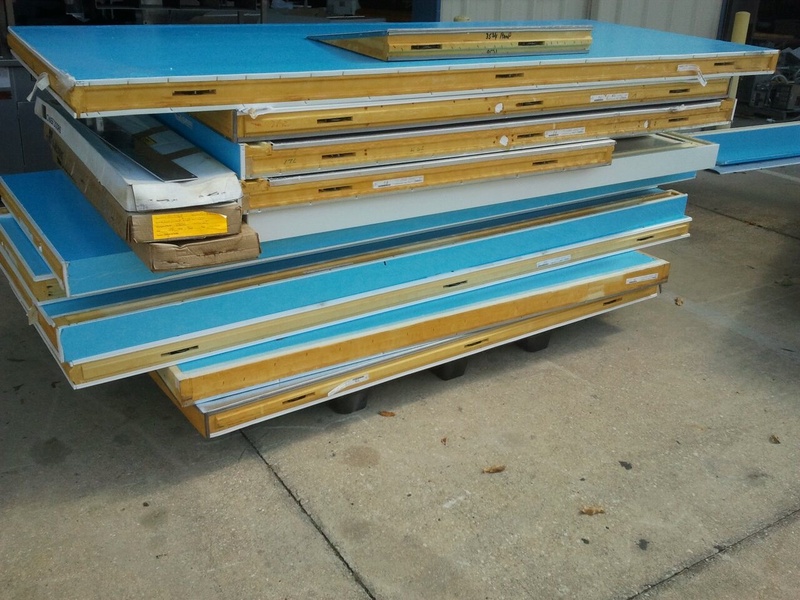 Currently at the One Fat Frog Restaurant Equipment Super Mega Warehouse in Orlando are several used walk-in coolers and used walk-in freezers in varying sizes, brands, and models. One Fat Frog Restaurant Equipment needs to make room in the massive warehouse, so One Fat Frog Restaurant Equipment is having a giant walk-in sale! Here’s the used walk-in cooler and used walk-in freezer selection available now at One Fat Frog Restaurant Equipment. When picking out the proper walk-in cooler or walk-in freezer for your restaurant, bar, pizzeria, bakery, etc., there are a few things to keep in mind including the amount of storage space needed, a location convenient to work areas and drain lines, and the type and condition of floor and ceilings to ensure proper load bearing and ventilation. Knowledge of the surrounding facility is especially important. The method of product storage should also be considered when determining the height of the walk-in you need. One Fat Frog Restaurant Equipment offers quick cash deals, package deals, and even an easy financing program that can help you stretch your dollar further than you possibly imagined. One fat Frog Restaurant Equipment’s in-house finance manager can get you approved for financing no matter what shape your credit is in! One Fat Frog Restaurant Equipment also offers more free delivery to more parts of Florida than any other used commercial restaurant equipment dealer in the Sunshine State. One Fat Frog Restaurant Equipment delivers absolutely free to Jacksonville, Gainesville, Ocala, Lakeland, Lake City, Brandon, Sarasota, Crystal River, St. Augustine, etc. This goes for the used walk-in coolers and used walk-in freezers listed above!